MDS ap helps you run business better leveraging technology from SAP and complementary solution providers. We deliver high quality and professional services implementing world-class integrated solutions including Enterprise Architecture, Data Management and Processing, Analytics, Enterprise Performance Management, Omnichannel Banking, Human Capital Management, Customer Engagement and Commerce as well as Strategic Sourcing and Procurement. With over twenty-five years of experience supporting enterprise customers across the Middle East, North Africa, Turkey and Eastern Europe regions, we are uniquely equipped to help you maximize the ROI on your SAP investment and fully leverage other best-of-breed industry solutions. 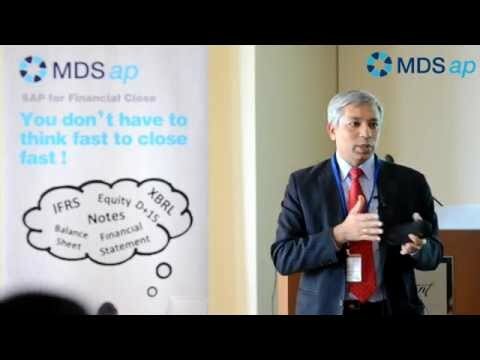 MDS ap has a strong focus on banking and financial services, insurance, telco and the government sectors. We are currently serving over 400 large organizations in the emerging EMEA region. Our major customer references are listed in the top 25 largest enterprises in each respective country and regions such as Emirates NBD, ADIB, UAE Exchange, ADCB and NBAD in UAE; SAMA, SAMBA, Riyadh Bank, Saudi Credit Bureau and SACO in Saudi Arabia; KFH, NBK, SCB, Boubyan bank and Ministry of of Education in Kuwait; Ministry of Finance, TZ SKOK, mBank, Orange, Polkomtel and PGNiG in Poland; DHL, KBC Banking Group, Komerční Banka, ERSTE in Czech; Orange, Postova Bank and VUB Bank in Slovakia; Akbank, IsBank, Ministry of Finance and Yilport in Turkey. MDS ap is a Gold Partner of SAP and is part of the MIDIS Group. We have twelve offices across the Middle East, North Africa, Turkey and Central Eastern Europe with locally based consultants.